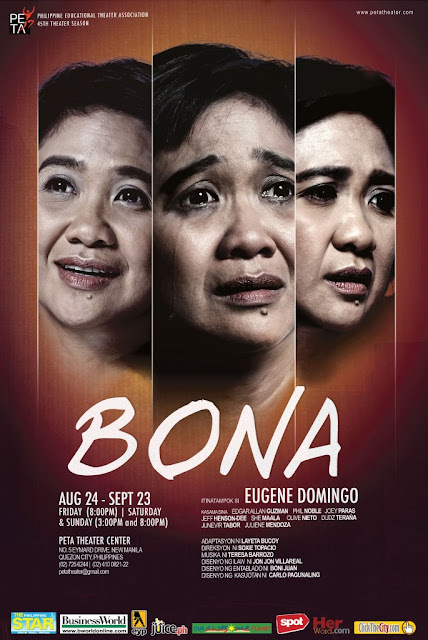 Philippine Educational Theater Association (PETA) relives the original film Bona as the group opens its 45th theater season this August in retrospect of a film classic that once captivated the hearts of Filipino audiences. From Lino Brocka's film masterpiece, this modern stage adaptation is directed by theater stalwart Soxie Topacio. 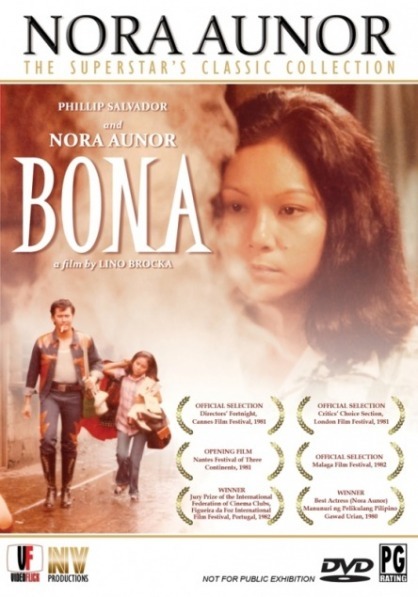 Originally directed by National Artist for Film and one of PETA’s founding members Lino Brocka, the film Bona is about a young schoolgirl played by Nora Aunor who became a die-hard fan of Gardo, a wannabe actor essayed by Philip Salvador. 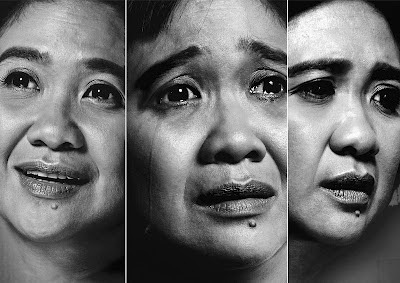 Set in contemporary Manila, PETA’s stage adaptation evolves around Eugene Domingo in the title role, a spinster call center agent who becomes a fan of Gino Sanchez, essayed by Edgar Allan Guzman as a contestant in the talent search Star of Tomorrow. Blinded by her obsession on Gino, Bona turns her back on everything she values and gives up nearly everything she has. Caught in a quicksand of worship and pity, Bona proves how obsession may overpower love and even lead to a person’s demise. 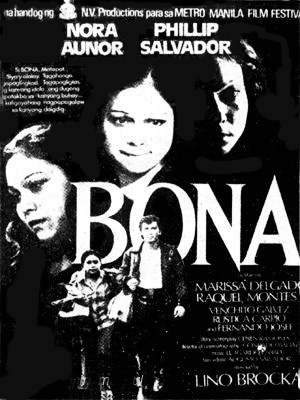 Aunor’s portrayal of Bona won her the Best Actress Award in the 1980 Gawad Urian Awards. The film written by Cenen Ramones was also an official entry in the 1981 Cannes International Film Festival Director’s Fortnight and was cited as one of the “100 Best Films of the World” by The Museum of Tolerance in Los Angeles. The role Bona was originally performed on screen by Nora Aunor with Philip Salvador as Gardo, who both also starred in some of PETA’s theater productions: Aunor in Rody Vera’s Minsa'y Isang Gamu-Gamo (1991), Ricky Lee’s DH:Domestic Helper (1993) and Salvador in Nick Joaquin’s Larawan, Tony Perez’ Cat in a Hot Tin Roof (1980), Orlando Nadres’ Flores Para Los Muertos: A Streetcar Named Desire (1980) among others. In line with its 45th season theme of understanding and interrogating film through live theater performances, PETA’s Bona gives a rare insight into the world of film, especially the devotion of diehard fanatics. Eugene Domingo and Edgar Allan Guzman are no rookies when it comes to performing on a live stage. Before their high profile show business careers, both had rich theater backgrounds. Coming together in one theater production was a bit of coincidence. In the 7th Cinemalaya Film Festival held at the Cultural Center of the Philippines in July 2011, Eugene bagged the Best Actress award for his performance in Ang Babae sa Septic Tank, while Edgar clinched the Best Actor award for his performance in Ligo Na U, Lapit Na Me. Before becoming a box office queen and one of the most sought-after actresses in the Philippine movie and television industry, Domingo graduated from the University of the Philippines' Theater Arts program and has been an active member of Dulaang UP and The UP Repertory Company. She has done a variety of plays, from classical, contemporary and a number of musicals as well as straight plays. Guzman is also no theater newbie. Before he became “The New Prince of Indie Cinema,” the young actor started as member of the theater group Villa Teatro which performed in schools and malls. Layeta Bucoy, who wrote the stage adaptation, shares her insight about the difference of the new Bona to the film. “Eugene’s Bona is more empowered; she is financially independent and even supports her family. As a fan, she lays claim to empowerment, as she believes that the inclusion of fan votes in a talent search on TV affords her to choose tomorrow’s next big star. Since her admiration is also stamped with pity, blinded with altruism, she gives the aspiring star her all,” shares Bucoy. 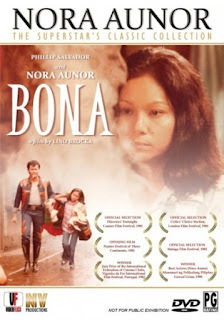 Bona will run from August 24 to September 23, 2012 (Fridays to Sundays) at The PETA Theater Center. Fridays at 8pm; Saturdays at 3pm & 8pm; Sundays at 3pm & 8pm. Tickets are now on sale through www.ticketworld.com.ph or www.petatheater.com. For more information, contact (632) 725-6244, +63.917.5765400, +63.916.3090707, petatheater@gmail.com.